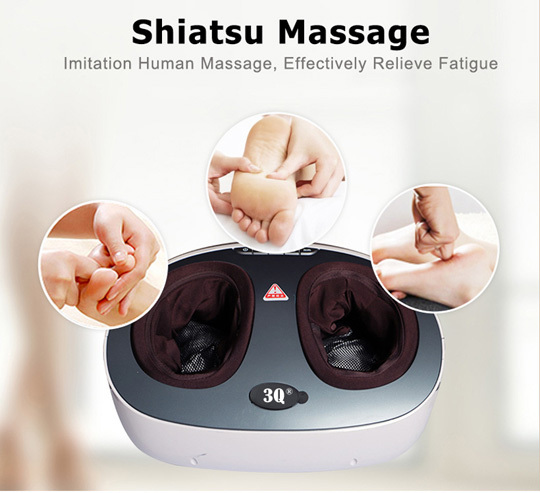 This MG-F910 massager features with shiatsu massage, kneading massage, air pressure in one unit. It can massages foot, calf, ankle. With extra two air bags you can massage arm, waist and belly at the same time. Just sit, relax and enjoy the health benefits of massage therapy. It can be used in anywhere you want such as your family rooms, office, Salon's waiting room for clients to enjoy during their wait. 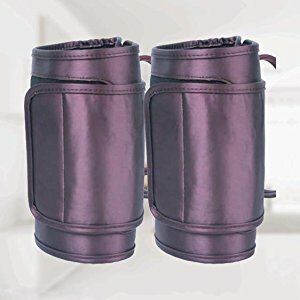 Luxury 3 in 1 foot calf and waist massager. 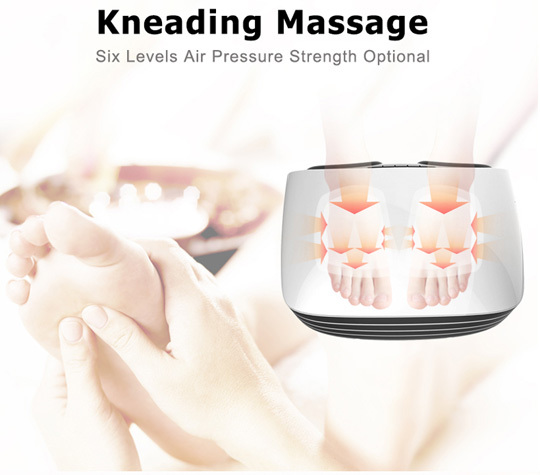 8pcs kneading knob massage from toes to heels to cover all acupuncture points. 4pcs of knobs massage the sides of ankles. 8pcs of air bags for soles, ankles and insteps hold the feet firmly for an enhanced massage experience. Air pressure massage for the heel. Air pressure massage for waist and belly. Three levels air bag massage intensities provide more relaxed for foot. Both Automatic and manual working modes. The massager comes with one-year factory limited warranty. We warrant that for a period of one year from the date of purchase, this product will be free from defects in material and workmanship. We will repair or replace this product or any component of the product found to be defective during the warranty period. 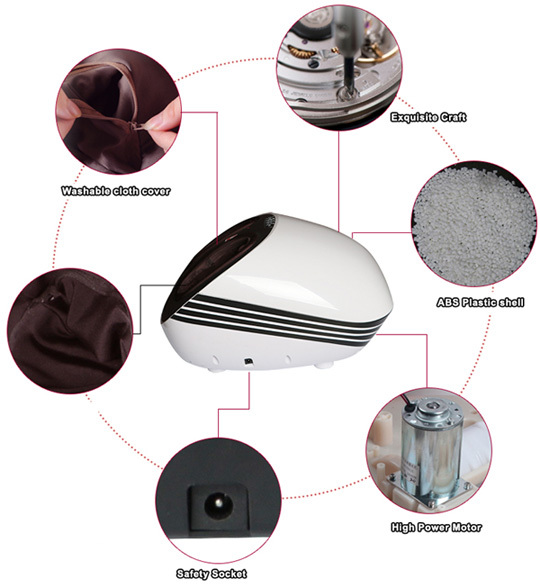 Replacement will be made with a new or remanufactured product or component. 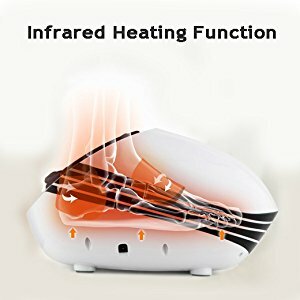 Click the button below to add the MG-F910 Luxury Foot and Calf Massager with infrared heat to your wish list.